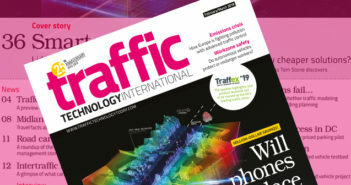 As the host organization, ERTICO-ITS Europe is highlighting that connected and automated driving (CAD) will be a key topic for discussion at the 25th ITS World Congress (ITSWC) in Copenhagen, Denmark, which will showcase the latest connected and automated mobility developments and demonstrations. CAD is evolving quickly due to innovations such as 5G, Internet of Things (IoT) technology, and artificial intelligence (AI). As a result, CAD is expected to increase safety, maximize comfort and stimulate business opportunities for a range of mobility services in the coming years. By 2020 an IoT network of around 50 billion objects is expected to exist worldwide, which will have a huge impact on connected mobility. Projects such as Autopilot, which is coordinated by ERTICO and involves a multisector public-private partnership of 121 companies and organizations, are already harnessing IoT sensor technology in large-scale pilot programs across Europe to facilitate automated driving, automated parking, autonomous carsharing and more. •	A demonstration from Keolis of the first autonomous cab available on the market. Silver sponsor Dynniq will also display a number of key projects from their Cooperative Corridor portfolio, which will include a discussion of the Cooperative & Connected Services Platform (CCSP), which enables communication between vehicles and roadside units. Steffen Rasmussen, head of projects at Copenhagen’s Technical and Environmental Administration, commented, “Connected, cooperative and automated transport is experiencing rapid technological growth. There is no doubt that this development will influence mobility and urban living over the coming decade. 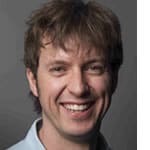 François Fischer, senior manager for CAD at ERTICO, noted, “In addition to legal and institutional challenges, one of the main issues for CAD deployment is the different paces that the automotive and IT industries are moving at.